Lavender essential oil is one of the most commonly used essential oils in aromatherapy. While there are other essential oils such as eucalyptus and frankincense essential oil, lavender remains to be a tough choice when it comes to flowery scent. But of course, it is not just the scent that attracts people to it. It is because this essential oil is gentler than the other oils. In fact, it can be applied directly on the skin without any side effects. However, as a rule, I always advise that people dilute their oils just to be sure. But lavender is one of the gentle essential oils out there. The botanical name for lavender is Lavendula officinalis. The oil is extracted through the process of steaming. The parts of the plant are distilled and steamed so that all the goodness is captured in the bottle. Also, unlike other essential oils that are clear in color, this oil has a yellowish color in it. It is also not as viscous. It is a little aromatic and can be used for perfumes but its strength can be tolerated by the nose. If you like to take the natural smell of fresh flowers to your home, then this is the best oil for the job. You can dilute this oil and spray it to freshen up the room. The scent will be gentle and it will be 100% natural. You will also be amazed with its therapeutic effects. However, be warned. Since lavender is one of the common essential oils, it is inevitable that some imitations come up. This can come in artificially made perfume or fragrance oils. While these oils smell the same way as lavender, they are not the same as the essential oil. Because of this, they have no therapeutic effects on your body. Therapeutic effects only happen because the oil is made from the essence of plants. Once inhaled, the particles are absorbed by the lungs and are carried to the bloodstream. Perfume and fragrance oils are usually made of alcohol and other elements. Since they are not natural, they are not good for inhalation and other purposes. The main benefits of lavender essential oils are that it alleviates many different types of illnesses. It can be applied to the skin and it can heal cuts, bruises, burns, dermatitis, insect bites, scars, stretch marks and chicken pox. It can be also inhaled and it can cure anxiety, asthma, allergies, headaches, migraine and vertigo. It can also be mixed with other types of substances and it can be used as an insect repellent or it can cure acne and oily skin. These oils are usually mixed with other chemicals for it to work. These are Linalol, Cineole, farnascene, Linalyl Acetate, Terpinenol and Beta-Caryophyllene. The product is essentially safe but is limited for external use only. Do not ingest this or it may do harmful effects to your body. You can use lavender oil either as an ointment or you can put a few drops in hot water and inhale it. It can help in clearing your lungs and body of toxins and you will instantly feel the effect. 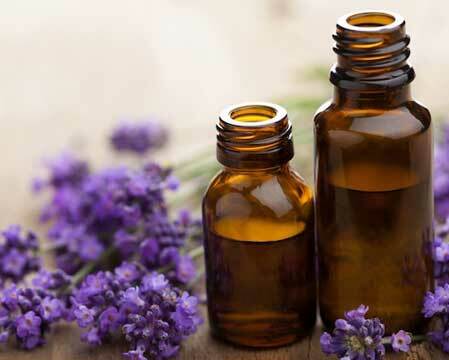 So if you are a fan of flowery scents, try lavender essential oil.